NASHVILLE — Governor Phil Bredesen congratulated two Knoxville, Tennessee elementary students at the state Capitol Thursday for placing first and second in their age group in a national aviation arts contest. The Governor recognized 4th grader Zeth Akins for placing second in the International Aviation Arts Contest. Student Chihye Kim was recognized for winning her age bracket in the National competition. Both children are students in Ms. Jeanne Hardin’s class at Cedar Bluff Elementary School. Clarksville Online spent several days at Outlaw Field in late September, garnering a new respect and understanding of the role this small airfield and its’ businesses bring to the community. Over the next four days, we’ll give you an inside look at the business and the adventure that is Outlaw Field. Growing up outside New England’s largest Air Force Base, I was always captivated by flying, both the small jets and the huge bombers that once a year would be on display for air base “open houses.” Years later, I found myself in the envious position of being paid to do things like hot air ballooning, soaring in a glider over the Vermont mountains, racing along the ridges of a mountain in small Cessna with a pilot whose feet barely reached the pedals. Exhilarating. Intoxicating. Adventure. 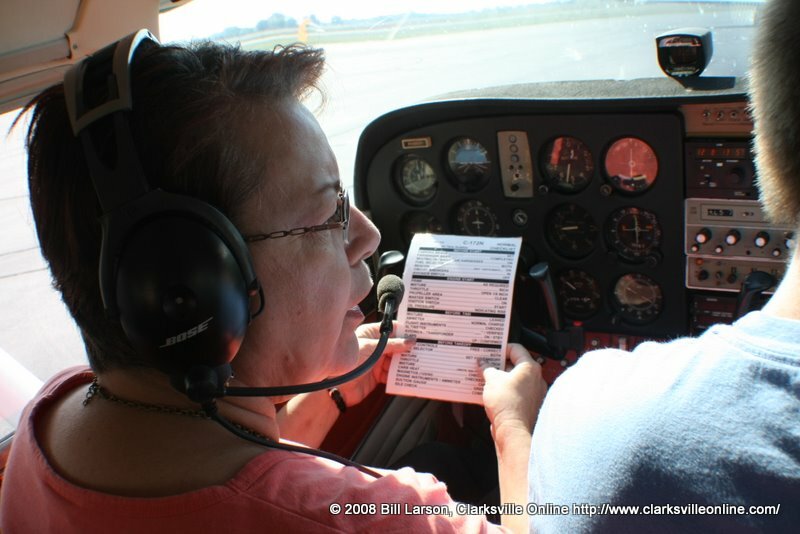 When the opportunity to try my hand at piloting a Cessna arrived, I reached out and grabbed it. No second thoughts. I stepped onto the tarmac aiming for the passenger door.